Las Bambas copper miner. Photo by Minera Las Bambas. Following this week’s efforts by Peruvian authorities to mediate in a 2-month long conflict, Minera Las Bambas issued a statement saying that management is willing to look for a consensual solution with the community blocking their activities in the southern-central region of Apurímac. Las Bambas is a joint venture project between MMG, a wholly-owned subsidiary of China’s Guoxin International Investment, and CITIC Metal Co. Ltd. MMG owns 62.5% of the project and is in charge of operations at the massive Las Bambas copper mine, which spans the provinces of Cotabambas and Grau and is located 75 kilometres southwest of the city of Cusco. Since early February, the Indigenous community of Nueva Fuerabamba has been blocking a national highway called Corredor Minero del Sur (Mining Runway of the South), which passes through its farmland. According to Reuters, local people say the government illegally turned the road into a national highway to be able to ink a deal with the Asian company. But in its recent statement, Las Bambas said that the Ministry of Transportation and Communications confirmed that the blocked way was declared of public use in 2008 at the request of district, provincial and regional authorities. This means that the road was already of public use when, in 2011, the Nueva Fuerabamba community was adjudicated the nearby farmland. In the brief, the miner goes on to say that community representatives have rejected the company’s offers to contribute with new development projects. However, it reiterates that its leadership team is open to a dialogue with members of the Nueva Fuerabamba community. “We recognize government authorities’ efforts to try to find a solution through a mediated dialogue and we ratify our disposition to contribute to such efforts and support the development of the Apurímac region and of Peru as a whole,” the communiqué reads. According to Las Bambas, it is urgent to find a solution to the blockade because it is preventing 8,000 people from working at the mining complex and it might trigger a total stoppage of activities with severe consequences for the local and national economy. 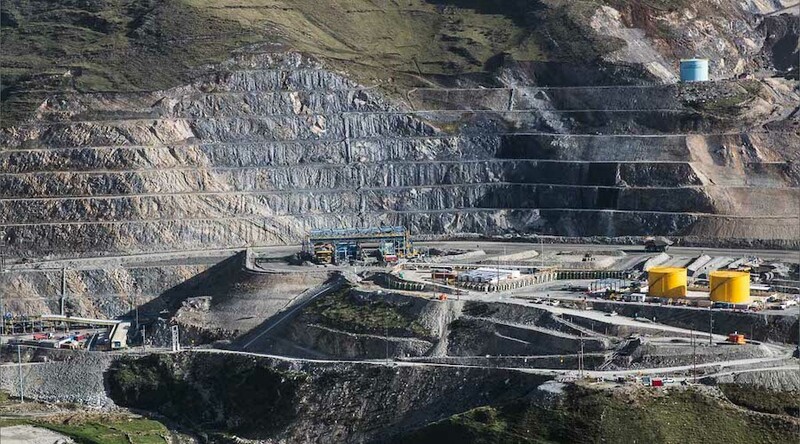 Since 2016, when the first shipment of copper concentrate to customers departed the Port of Matarani, Las Bambas has paid approximately $226 million in royalties to the Peruvian treasury. The mine has an annual nameplate throughput capacity of 51.1 million tonnes and in 2017 produced 450,000 tonnes of copper concentrate.